Creative Labs has been making a lot of waves with its Sound BlasterX line of portable sound cards and headphone amplifier units. We take a look at the latest in this new family of audio devices, the G5, and give it great marks for it slick design, portability, and performance. 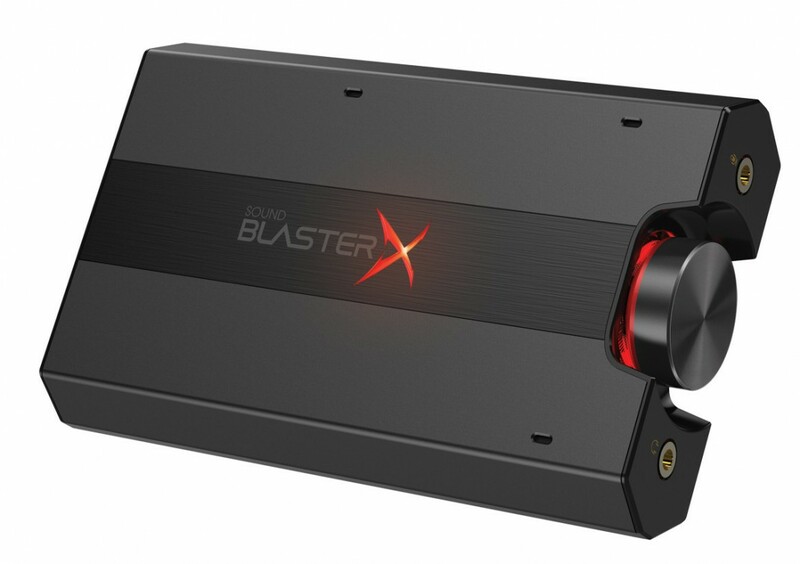 The Sound BlasterX G5 features dark, gray and black exterior with an eye-catching, backlit Sound Blaster X logo emblazoned across its “top” side. The front end of the G5 has a large volume knob and illuminated volume indicator that is pretty rad – especially when playing in a dark dorm or office. The whole G5 unit measures about 4.5 inches in length and 3 inches in width, making it a very portable audio solution for your laptop, PC, or even gaming console. The Sound BlasterX G5 features both optical in and out ports (by way of sold separately mini TOSlink cables) as well as the standard 3.5mm headphone and microphone jacks for you to interface with. Also along the front side of the G5 is a mini-USB port as well as a full size USB port. This allows you to use the G5 as a pass through from your PC to your gaming keyboard or mouse – the USB port is capable of putting out 100mA of power, so you won’t come up short by using it. The software package to control the Sound BlasterX G5’s audio options is fairly robust and features a very user friendly GUI that enables quick navigation to its various options. Among these options are a huge array of sound profiles based on what game you are playing. These are very handy and I definitely noticed a positive difference using the FPS (“Call of Duty Series”) option for playing, well, first-person shooters and the “Driving Simulation” profile for my time spent in DCS A-10C Warthog. These are great ways to get quality sound if you are not the kind of person who likes to tweak their entire sound profile. Also part of the Creative Labs control suite for the Sound BlasterX G5 is what they call the BlasterX Acoustic Engine Pro. This is software technology that packages a ton of Creative Labs audio features into one suite. What it amounts to is simply a more enjoyable gaming experience and, in some cases, better gaming performance on the part of the player. Being able to hear footsteps and bullets whizz past while listening through the G5 allowed me to have a better sense of situational awareness on the digital battlefield, resulting in a better “kills to death” ratio. Furthermore, the suite also has a preset for music, which is a nice setting for general music enjoyment. Additionally, the built-in headphone amplifier allows headsets of up to 600Ω impedance to be used, making the G5 a very handy tool for studio-level recording and monitoring. The one big issue with the Sound BlasterX G5 is its lack of an internal battery, which would have helped its portability quite a bit. 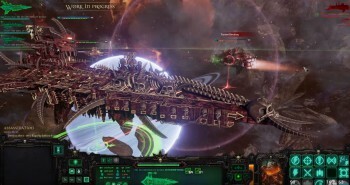 It would also save the battery life of your laptop somewhat while gaming, which can be a big power draw. Overall, the Creative Labs Sound BlasterX G5 portable sound card features a ton of useful audio capabilities to help you game on the go with your laptop or game console. 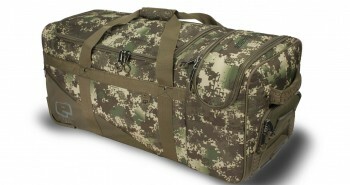 At a very reasonable $149.99, it won’t break your bank account and is a great value given what it can do. 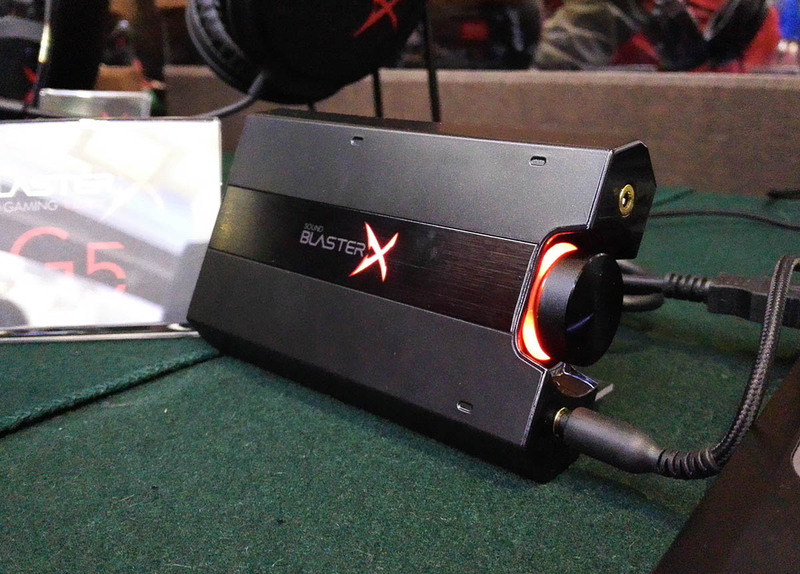 The Sound BlasterX G5 is available now.